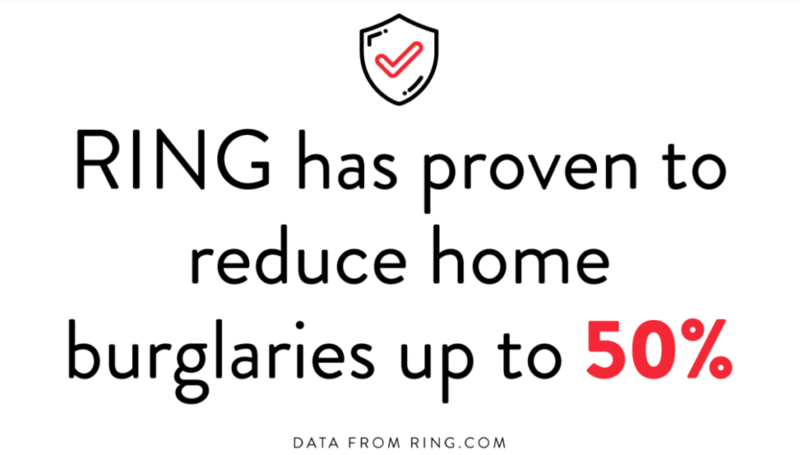 The power of the Ring Video Doorbell helped us, and now we want to help you. Thursday, January 24th around 7am the CBH Homes’ North Ada Sales Office was broken into. We’d recently installed the Video Ring Doorbells throughout our offices to help provide security and reassurance to the sales team. It’s not often we have issues but we love to keep our team safe. The thief had approached the front door, rang the Ring Doorbell, then after a few seconds, covered the camera. The Ring Video recorded his actions and caught his face on the camera. The thief then proceeded to break in the back door and stole items until he was deterred by the home’s alarm system. Now to the good part. CBH Homes posted the Ring Doorbell video on the Ring App and on Facebook asking for any information identifying the man. Within a few hours, 55 people shared the post reaching over 8,000 people. CBH Homes quickly received a direct message on Facebook identifying the man in the video. Two hours was all it took. We were in awe. Without the community or Ring Doorbell, the police might still be looking to identify the man. Now do you see why we’re so excited about this? This has spurred us into action! Add those things together, and say hello to the CBH Homes Ring Video Doorbell Promo. *Some restrictions apply. See a CBH sales specialist for complete details. To qualify for the CBH Homes Ring Video Doorbell promo contract dates must be between February 1, 2019 thru February 28, 2019 and may not replace any prior agreement currently in escrow and is non-transferable. The Ring Video Doorbell will be mailed to homebuyer’s address per the Buyer’s contract and upon acceptance of contract and receipt of acceptable loan commitment. Ring Video Doorbell will not be installed or warrantied by CBH Homes. Marketed by CBH Sales & Marketing, Inc. in Idaho. Broker cooperation invited. CBH Homes RCE-923.